Welcome to Siddharth Engineers. Manufacturer of Valve and Engineering Components. We are an ISO 9001:2000 certified company, incorporated in 1998 at Pune. Extensive product range and technically sound infrastructure make us different from others. Specialized RandD wing, Efficient after sales services and Client centric approach are the plus points of our organization. Hindustan Petroleum Corporation Limited, Gas Turbine Research Establishment and Institute of Armament Technology are some of our reputed clients. Energy, Chemical, Fertilizer and Petrochemicals are some of our Application Areas. 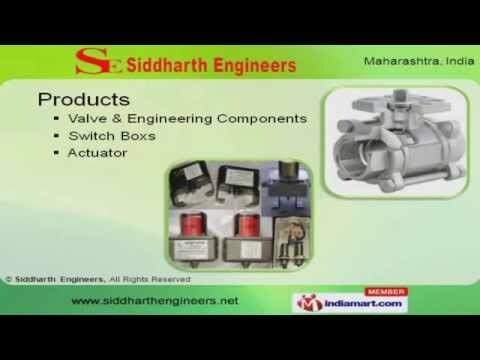 We offer a wide assortment of Actuator, Valve and Engineering Components. Our Valve and Engineering Components are widely acclaimed in the market. Switch Boxs offered by us are best in the industry amongst others. We are specialized in manufacturing Pneumatic Actuator.